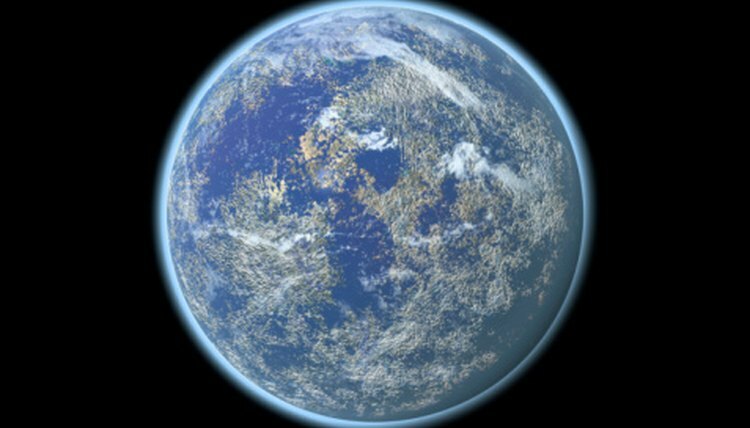 The ocean covers 72 percent of the Earth's surface and contains most of its biomass, including thousands of life-form species, according to the Marinebio website. Some are predators, others prey. Some are both, but a balance must exist for each species to continue. Survival of the fittest is ensured as each species evolves methods to protect itself. The individual that has the best defense is the one that lives to reproduce. Defense mechanisms range widely and represent the massive and myriad variety of animals that live in the world's oceans. 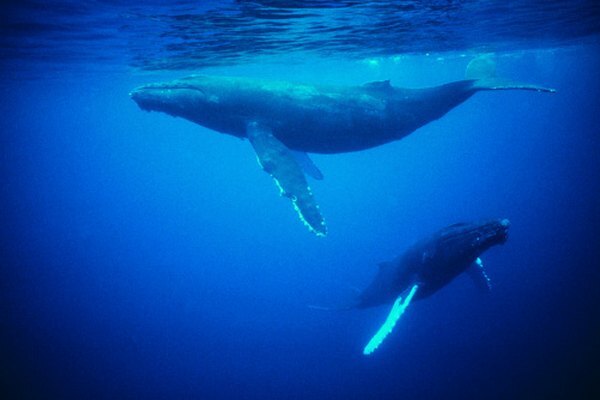 The size of some marine animals protects them simply because they have no natural predators. These include adult whales, sharks, killer whales, manatees, dugongs, swordfish, marlin, sailfish, manta rays, barracuda and saltwater crocodiles. The young of all of these are vulnerable, however, so each species has evolved ways to ensure the survival of their progeny. In the case of whales, manatees and dugongs, young are nurtured by their parents until they are big enough to protect themselves. The fish and the saltwater croc simply produce large broods; the more young, the better the chances for an individual to reach adulthood. A few other marine animals have size on their side: adult dolphins, porpoises, sea turtles, seals and walruses, whose only natural predators are the larger species of sharks. All except the sea turtle rear a single young, which they nurture to adulthood. As with crocs and sharks, sea turtles produce many young in order to increase the chances of survival. Many ocean inhabitants use numbers, flight, evasion or a combination of these to protect themselves from predators. 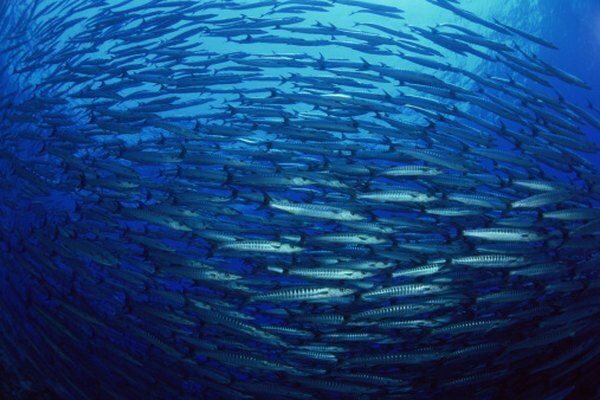 Schools of fish, such as tuna, cod, herring and sardine, are composed of thousands that move as one, changing direction so quickly that their movements seem choreographed. Their unity, shape-shifting, and lightning-quick maneuvers help them evade predators. Penguins, the most aquatic of birds, also seek safety in numbers and speed. These streamlined birds enter the water in groups, diving in and shooting away as fast as possible in an attempt to confuse and out swim predators. Shrimp and other small crustaceans also use evasive maneuvers to flee predators. Some marine dwellers simply hide. One form of concealment is mimicry, by which fish camouflage themselves by blending in with their surroundings. 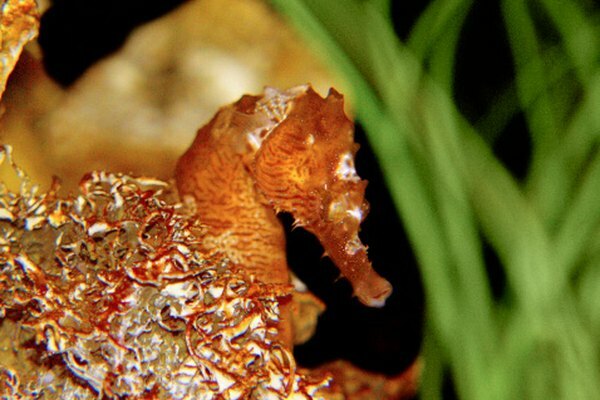 Sea horses and sea dragons mimic coral, to which they cling with their tails. Angler fish and flounder disappear into the ocean bottom, where they hide from predators in the sand. Sea slugs, which are invertebrates, often look like bits of floating vegetation. Squid, cuttlefish and octopus have a unique adaptation for concealment: the ability to instantly change color and skin pattern through the use of bioluminescent cells. This ability enables them to blend in with their surroundings as they move. When threatened, they can release an ink cloud, which obfuscates the water and allows them to slip away from predators. Many reef fish, whose bright colors may attract the attention of predators, have developed ways to counter their flamboyant looks. The clownfish is immune to the stinging arms of the anemone, in which it lives safe from potential predators who will not risk a sting to catch them. Moray eels coil their elongated bodies into holes in the reef, where they hide from predators. When they emerge at night to feed, their darkly patterned skin helps them blend into the shadows, protecting them from enemies. The comet fish depends upon mimicry for protection: it exposes only its tail, which looks like the head of a moray eel, from its hiding place in the reef. Many forms of sea life use toxins and other methods to repel predators. 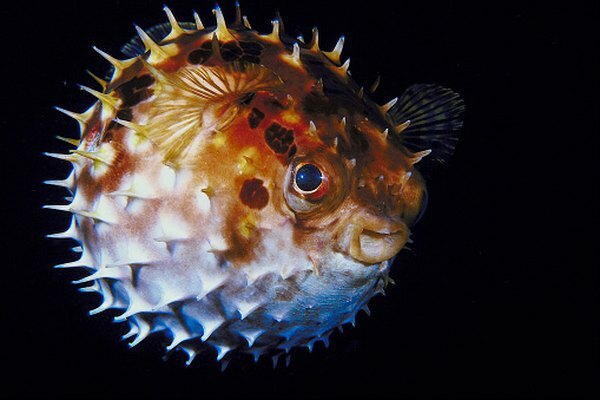 The puffer is an unpleasant mouthful: it is poisonous if ingested, but for added protection, this little fish can blow itself into a ball, which causes its spines to stand up. Any predator that insists on eating it will have a difficult time swallowing it and die an agonizing death for its trouble. Jellyfish are notorious for their stinging tentacles, which not only paralyze their food but also provide protection from predators. Some jellies, such as the dime-sized irukandji of Australia, are so toxic that they can kill a human. Their stings cause excruciating pain that lasts for days. Many other jellies cause severe allergic reactions, intense pain and sometimes death. Some ocean animals that use toxins for defensive purposes are so venomous that they can cause severe allergic reaction and sometimes death to whatever they touch. These include scorpion fish, lion fish and stone fish; the blue-ringed octopus; the cone shell; and all sea snakes except the sea krait. Other sea inhabitants that can inflict painful injuries, but generally do not cause death, include the crown of thorns starfish, thought to be the only venomous starfish; sea urchins; sea cucumbers (which are fish despite being named for a plant); the stingray, which can inflict a painful sting from a barb on its tail; some types of coral and anemones; the stinging saltwater catfish, which has venomous barbs around its mouth; and the electric eel, which can generate bolts of up to 550 volts, according to the Encyclopedia of Animals. Most of these animals also use their abilities to capture prey. Oysters, clams, scallops and other bivalve shellfish have a safe haven that protects them. Other mollusks, including snails and conchs, have a single shell that has a spiraling interior. These shells sometimes are abandoned and then are appropriated by hermit crabs seeking protection. 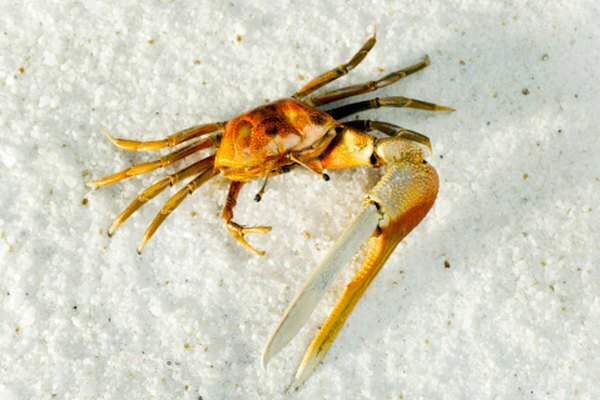 Crabs and lobsters possess a hard exoskeleton, as well as formidable claws with which to fend off enemies. Cowfish and boxfish are covered in a protective armor that helps them deter predators.